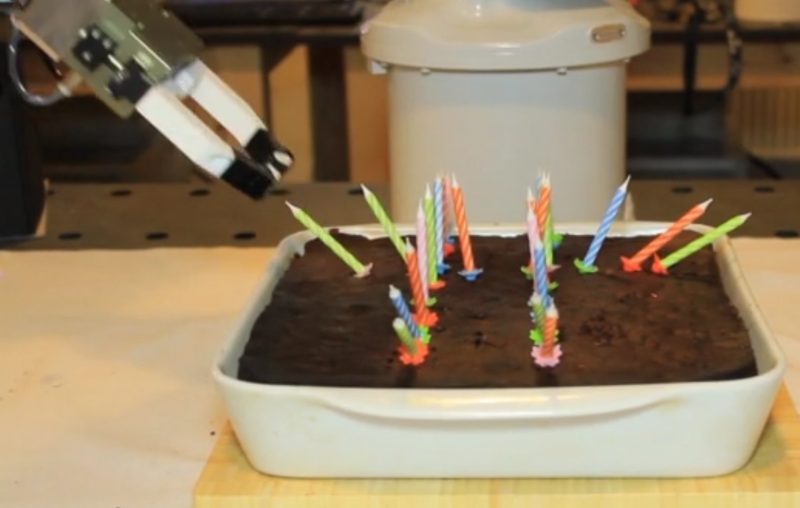 Robot-supported Food Experiences – ixd! nd further inspiration in theories and techniques from the fields of art, architecture and theatre to sketch the design space for robot food experiences drawing attention to those which can only be executed with the help of robots. In the research paper submitted to the Cultural Robotics workshop at Ro-Man2015, we present lessons learned from the design experiments and discuss important future work to develop aesthetic food interactions supported by human-robot teams. We explored robot-supported experiences for the preparation, serving and consumption of food. Food is a culturally rich area, steeped in tradition, involving social norms and expectations. How can robots play a role in this context? We conducted 10 design experiments to explore the design space of food supported by robots. This work has been undertaken at the Aarhus School of Architecture and Aarhus University by Christian Ø. Laursen, Søren Pedersen, and Tim Merritt. This work has been submitted for inclusion in the Ro-Man2015 conference in Japan.